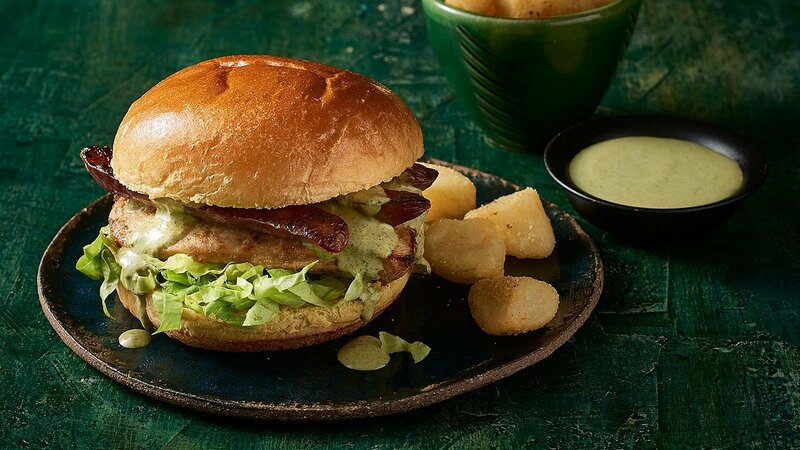 This Supernatural burger will get your taste buds tingling when the flavours come together to give you a border busting taste sensation. Grill chicken breast until cooked through. Place KNORR Thai Green Curry Paste, watercress and HELLMANN'S Real Mayonnaise and blend until smooth. Reserve some sauce for serving.